AB6IX released their charismatic first group image. The group AB6IX has released a charismatic image of the group. Brand New Music's new boy group AB6IX has focused attention on their first group image through their official SNS channels on 30th and 31st. In the first image, expressed in black and white overall, the five members caught attention by showing themselves walking toward the number symbol, the official logo of AB6IX, wearing black and white matching outfits amid a mood of dark. The second image also released a unique ambience of AB6IX. While the mysterious red-lighted door feels like it leads to a new world. 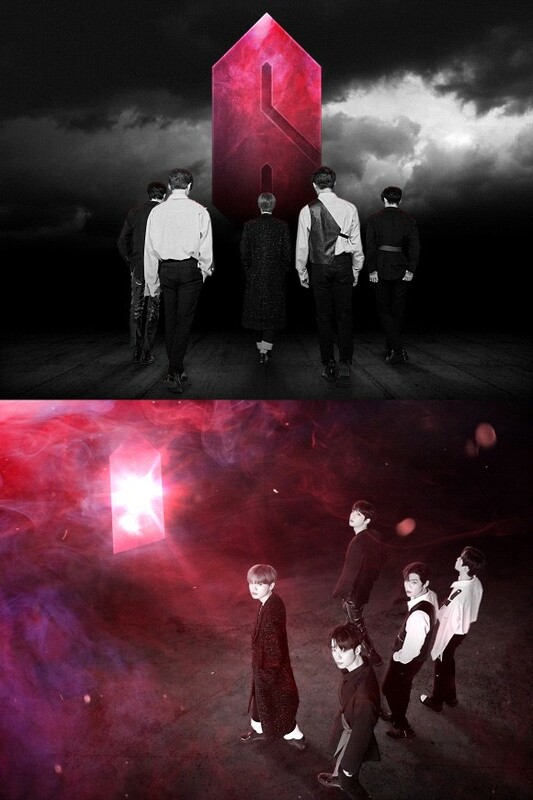 Along with the images, the words 'THE ABSOLUTE SECRET' and 'THE ABSOLUTE ENTRANCE' are also being released, respectively, raising curiosity about AB6IX's storytelling that will follow sequentially. AB6IX appeared in the second season of Mnet's "Produce 101" in 2017 under the name of "Brand New Boys," and was praised for its high-quality self-written and choreographed performance on the first stage, while Lim Young-min and Kim Dong-hyun worked as an MXM, and Park Woo jin and Lee Dae hwi received a lot of love as Wanna One. AB6IX confirmed the group's name as "AB6IX" on the 29th, they are planning to make their official debut in May.